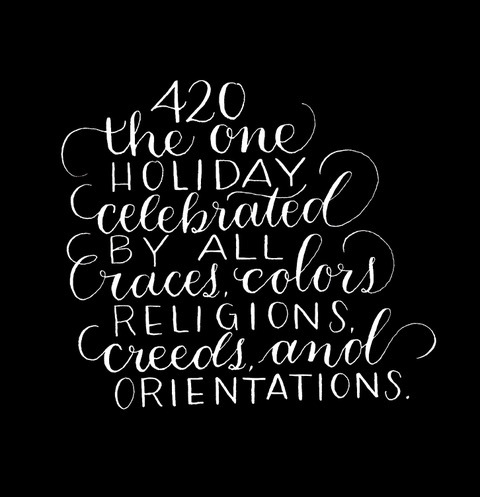 And instead, pick up our joints and bongs. Let’s all gather Tahoe OG Kush, Purple Haze and Pineapple Express into humongous piles that we leap off of. Let’s smoke enormous rigs down streets made of yellow-colored concentrates. Let’s become "Chill" and "Creative" and talk about the world and explore everything and go everywhere in this place we call Green Mother Earth. Let’s smoke, eat, dab, and fly. Because if we do, one thing is absolutely certain.